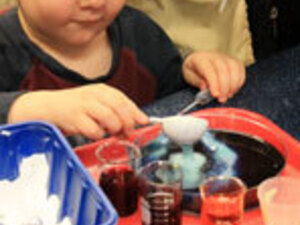 Engage with your toddlers and preschoolers (ages 0 - 4) as you investigate science process skills through hands-on activities. Learn a different science process each week and discover ways to keep the science fun going at home. Included with admission. Sciencenter, 601 1st St, Ithaca, NY. www.sciencenter.org or 607-272-0600. The Sciencenter is a proud member of the Discovery Trail. More information can be found at www.discoverytrail.com.